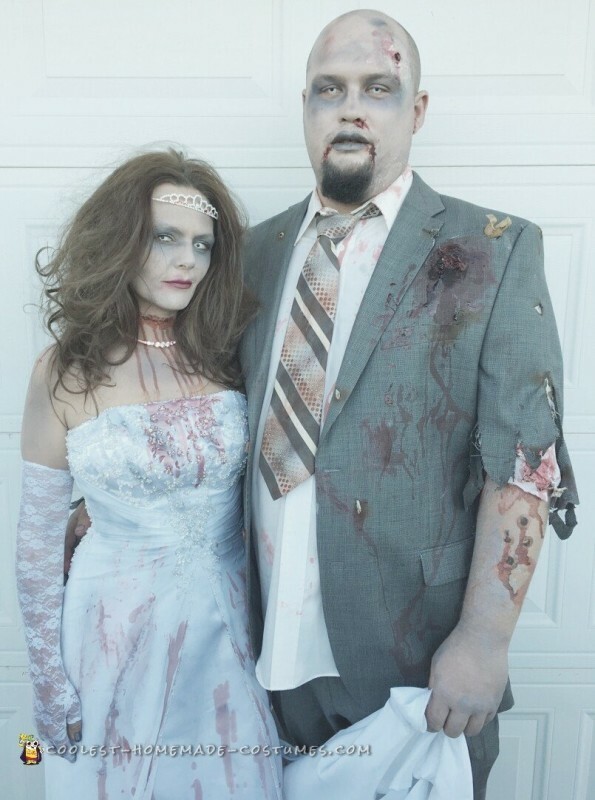 My husband and I decided to go with a creepy costume this year, hence our zombie bride and groom couple costume. We have been married for 17 years and have never dressed as a couple! I love thrift stores so, naturally I found our awesome outfits at Goodwill. My dress was $3, and the suit was $12. I used makeup that I already had at home for our faces. I mixed black and purple eye shadow to create the dead eye effect. We live on a farm, so my hubby took his suit jacket out and actually shot it with his 12 gauge so it looked super real! I used a bottle of blood for the effects on our clothes and body. The coolest effects were the white-out contacts, which were only $5 on ebay. Last night we attended a costume party and won 1st place couple!! Everyone was totally creeped out and loved it! I love making costumes at home. 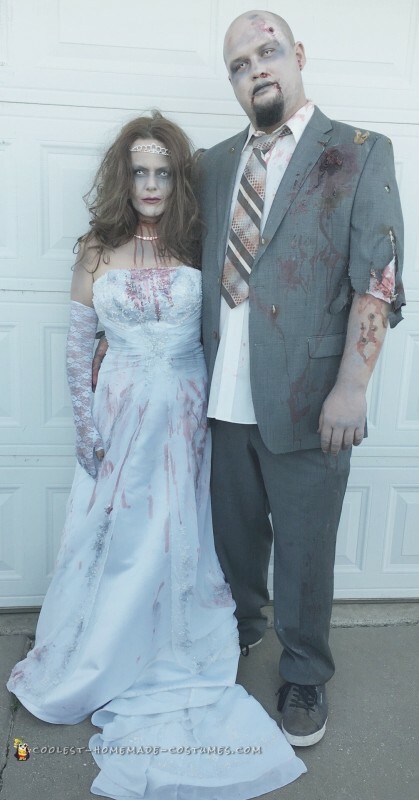 It was so cheap and we had a blast creating our own costumes. So, I will definitely be making homemade costumes every year!